We design a range of automation solutions to reduce labour and increase yield in your processes. For example, equipment used by a snack food company, processes biscuits in a continuous baking oven. After baking, products are cooled in a unique tunnel and then picked up in batches directly from the conveyor belt and placed into the plastic tray for packing. 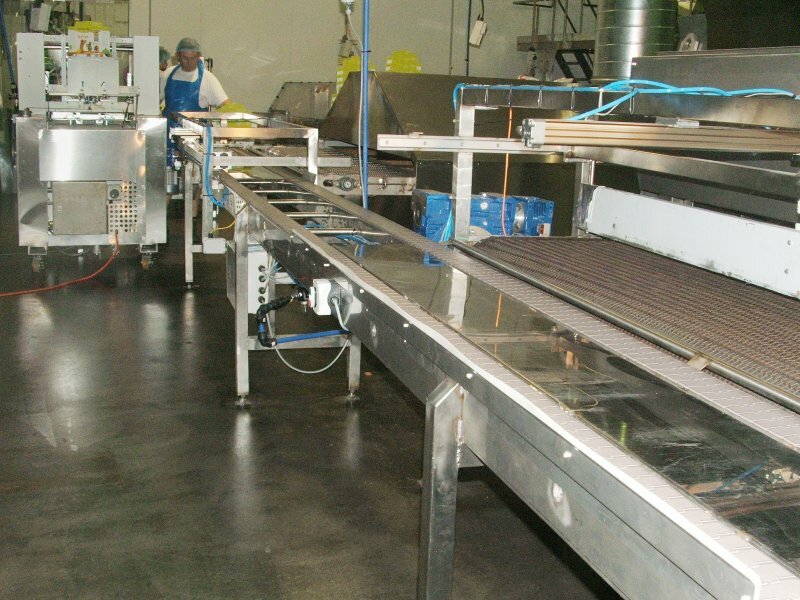 This automatic process reduces cooling time and human handling of the biscuits.